Last night was the launch of the Southern-Land Spring series from Garron Publishing at the Halifax Café. 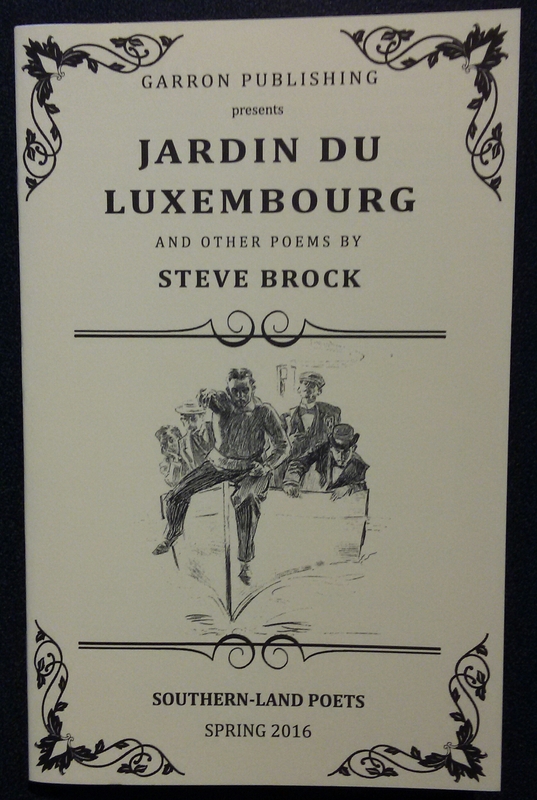 And the place was bursting at the seams, with people flocking to hear the latest work from some fantastic poets – Mike Hopkins, Alison Flett, Steve Brock, Judy Dally and Louise McKenna. MC’d by Gary MacRae from Garron Publishing with Sharon Kernot on book sales, which incidentally went like hot cakes, Mike Ladd introduced the line-up, another outstanding local poet. 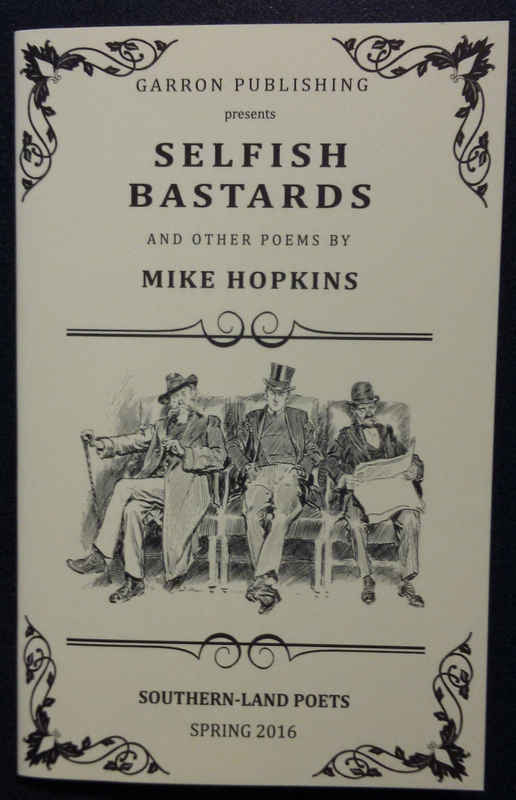 First to read was Mike from his ingeniously titled Selfish Bastards and other poems, a collection described as a ‘parody of parodies’ and so naturally Mike read the title poem, which required audience participation. 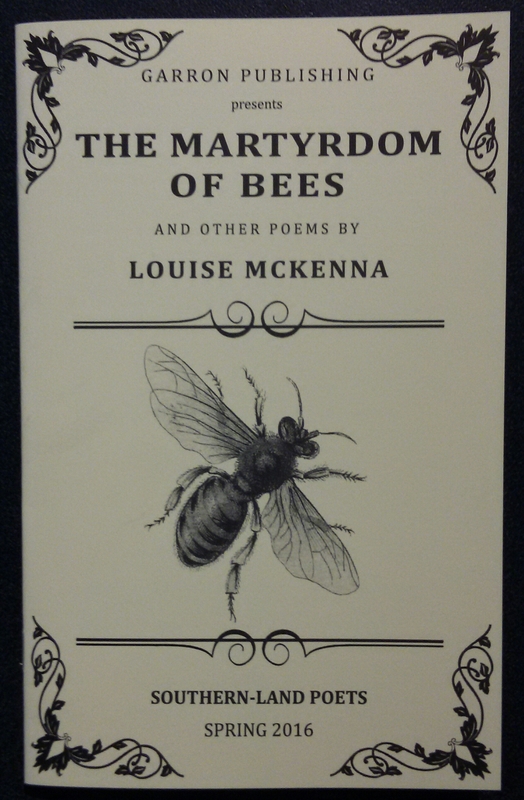 My favourite line has to be ‘Poets at poetry readings who go over time with their boring bloody confessional poems about their boring bloody tragic lives – Selfish Bastards!’ (shouted by the audience). Mike’s work is clever, witty and engaging, and there’s a very poignant poem in the collection called ‘My Father’s Blood’, which won a first prize at this year’s Salisbury Writers’ Festival. 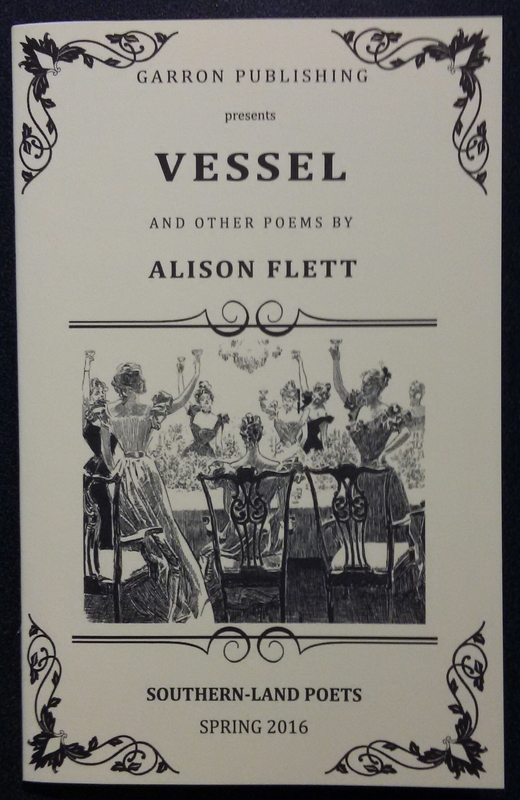 Next up to the mic was Alison reading from Vessel and other poems, and again like Mike Alison read the title poem, two of its three stanzas, which I’ve heard Alison read before and just love. The poem is about a girl, with each stanza marking a different chapter in her life, beginning with ‘She is small. The sky does not yet come down around her. It is still contained in a blue strip at the top of the page’, epitomising childhood. Alison reads like a dream, fashions poems brimming with feeling and soul, which both haunt and enrapt with their quiet beauty. 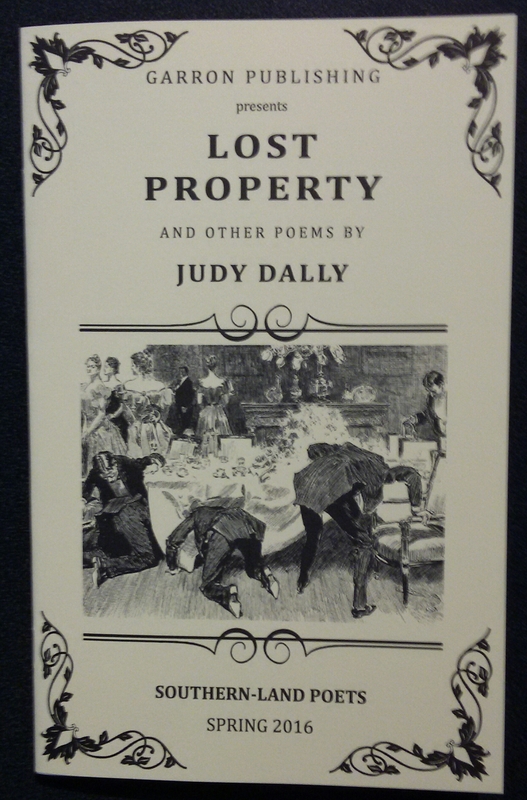 After a short break, Judy shared some poems from Lost Property and other poems, a collection about her late father, her relationship with him and the impact it has on their family dynamics. Judy started with ‘My father on a January morning’, where we see him ‘hunched on the sea wall’, hiding, ignoring, clearly not wanting to be there, ending with ‘refused an ice cream, cast a shadow’. Judy’s poems belay the quite often heartbreak of parental relationships, lives spent, moments lost, asks the question, how did we come to this? 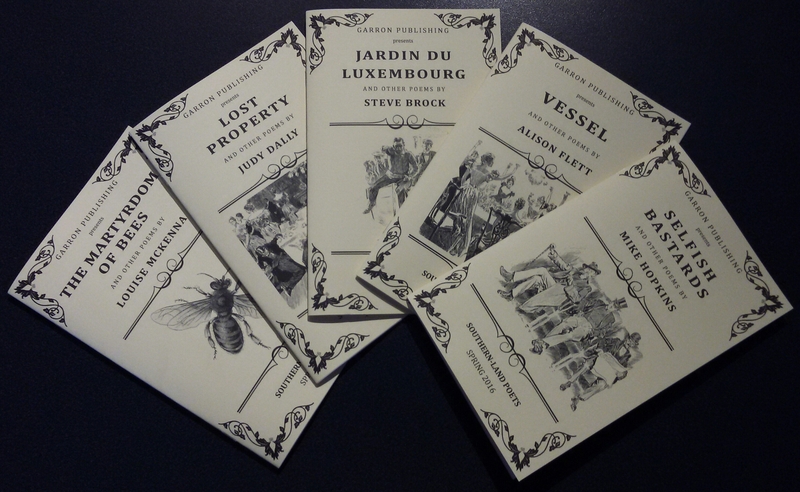 These chapbooks are exquisitely rendered pieces of art, both inside and out, and once again provide perfect poetic snapshots, a credit to the South Australian poetry scene. A review by the lovely Julie Birch of the launch, last night, of the Garron Publishing chapbooks of 2016. Wow. Excellent reviews in less than 24 hours! You don’t muck around do you Julie? !